Emasithandane has decided to come up with programmes for the children living at Emasi. The aim is to keep them active, busy, and energetic. This takes the children away from the street corners, the environment that often leads to a life of drugs and crime activities. We provide after school classes to assist the children with work from schools. Education is the primary channel towards ultimately being employed and earning a decent salary. The children need to achieve the marks necessary to matriculate well, and gain acceptance into higher education. We strongly believe that the children therefore deserve educational assistance, especially given the poor quality of schools they attend and the disadvantage relative to wealthier schools. Many of the children are far behind grade requirements and need comprehensive relearning of material. Three tutors give 2 hour classes three times a week for the 12 high school children. The tutors focus on homework, assignments and general understanding on a range of school subjects including Maths, Physical Sciences, English and Accounting. Inspired by an inherent love for singing, dancing and drama, we have a growing performing arts programme that enables the children to express themselves and learn about their culture. These performances depend on when community events are held, for example a competition or festival. Most recently [as of May 2017], the younger children presented at UCT in March. Both the older and younger children (mostly girls) are currently practising towards a performance on 15 July. To improve skills both for the children and the caregivers, we previously facilitated training workshops. Managing a children's home of this size is very tough, and requires an evolving skills set to keep up with children's needs. Unfortunately, the organisation previously responsible for this has withdrawn. There is a major need for these training workshops to continue. Short programmes are special events where we bring awareness to an issue or introduce the children to a new interest or possible career path. 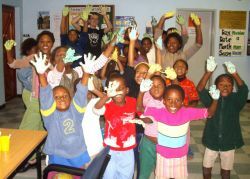 For example, on 13 May, CPUT hospitality students taught the kids about healthy eating. 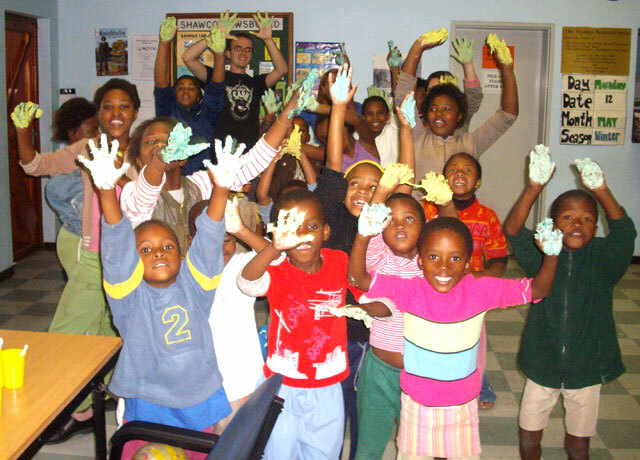 The local church holds programmes over the weekends including helping with cleaning, cooking and fun activities for the children.